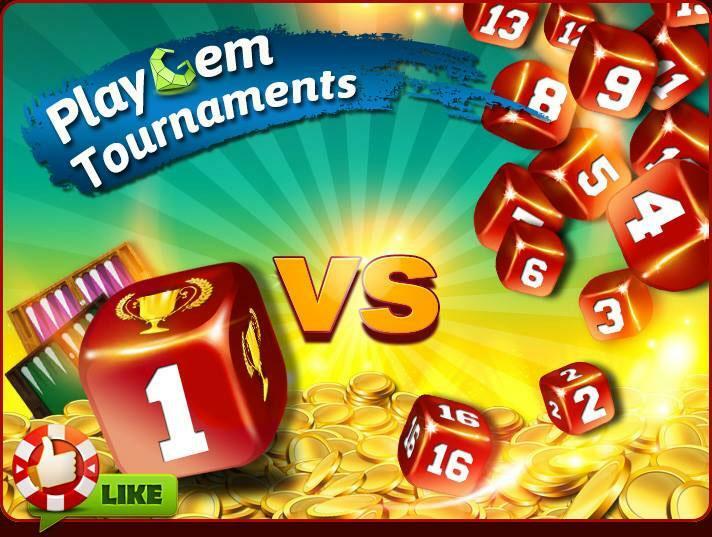 Pick one of the 7 brilliantly designed Backgammon boards and head straight into an exciting game in Facebook’s most popular Backgammon game, PlayGem Social Backgammon! 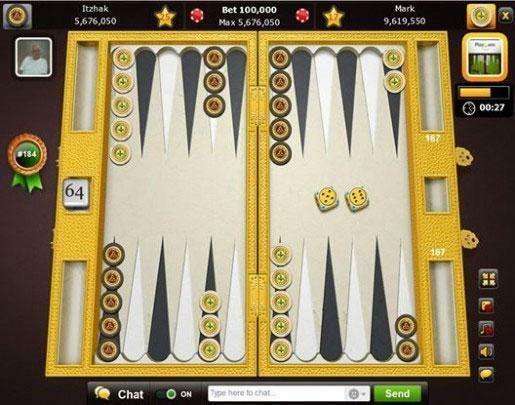 Choose a difficulty that suits your Backgammon skill level, place your initial bets, and let the matchmaking system find you a challenger to defeat! If you prefer, you could opt out of the 1-on-1 matches and head over to where the big boys are playing at... the tournaments. Do you have what it takes to rack up your winnings and climb up the leaderboard? 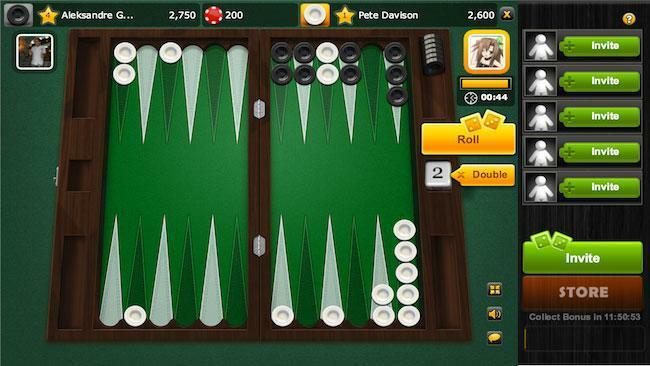 Getting started in a game is fairly simple in PlayGem Social Backgammon. All you need to do is to pick a board that you like, select a game mode as well as a difficulty level, and you’re ready to get Backgammon-ing! The game has 7 different board themes for you to choose from, including catchy themes like Samurai Blade, Sun and Sea, as well as the classic Las Vegas. Interestingly, most boards follow the usual design of a classic Backgammon board, but the theme, Dark Angel, stood out as its design is boldly different from the other themes. However, this might not sit well for some folks who just wanted to enjoy a simple Backgammon as it might take awhile to get accustomed to the unique (while some may call it “outrageous”) design. 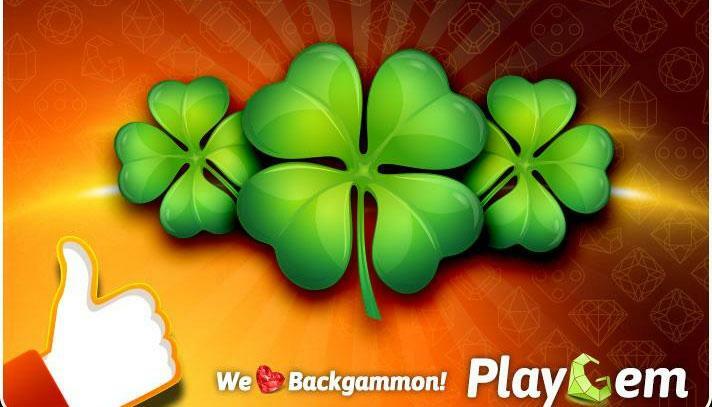 For game modes, PlayGem Social Backgammon has only 2 on offer – Single game and Tournament. However, each of these game types can be further broken down into various ranks depending on the difficulty level you want. In fact, there is a whopping 11 difficulty levels in total for single mode, while for tourneys, there are generally 6 of them. Each difficulty level is different from each other as the initial bet amount scales up as you progress to higher difficulties. The beginner level for single games starts off with a 2500 entry bet, but it can reach as high as 25 million for the highest difficulty level, the Crazy Gammon. Not to mention, in the game, you’ll be given the option to raise your bets by doubling it or by going all-in. Thus, there might be times when a lower difficulty game can ended up having stakes that rival that of a moderately ranked game. This is actually one of the most exciting aspects of the game, in addition to its actual Backgammon gameplay, as matches can turn from something casual to something that is really intense and risky in a click of the “Double” or “All-in” button. Let’s not forget that the time allocated per turn for you to decide and take your move is reduced in higher levels, which vastly increases the intensity of higher level games as well. The game mechanics and rules, on the other hand, are pretty much the usual sort. Thus, if you have any experience playing Backgammon before, you should be able to ease into the game pretty easily. For players who have absolutely no experience whatsoever, well, they might need a bit more time to pick up on the rules, in spite of the tutorial provided. Thankfully, the game provides you with some sort of a leeway by covering the cost of your losses in your very first game. 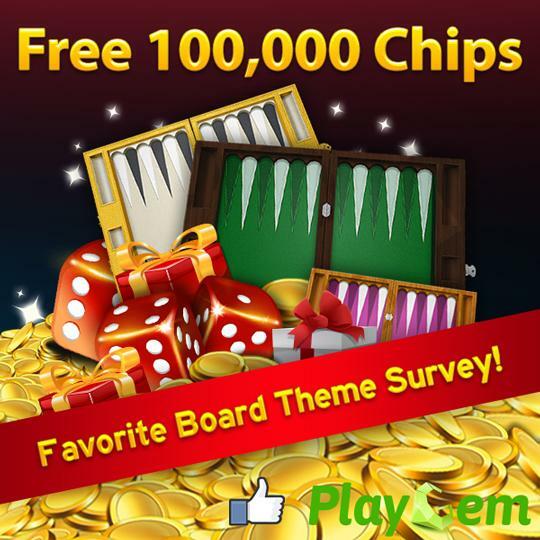 If you enjoy playing Backgammon with just a tiny bit of extra advantage, you might be interested to save up some of the premium gems that you get via the daily bonus. You can then use those gems to buy either hints, which will highlight your best possible move for that turn, or chips and experience boosters. 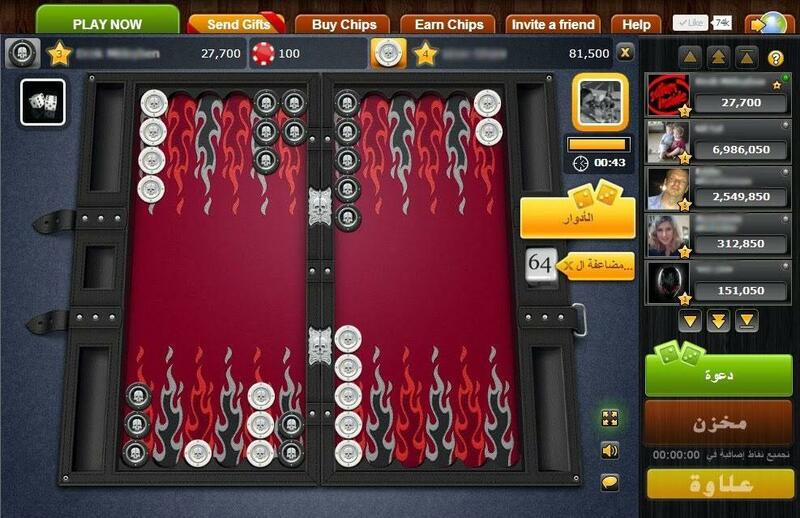 Naturally, besides winning games and getting the daily bonus, you can also earn more chips by collecting achievements. 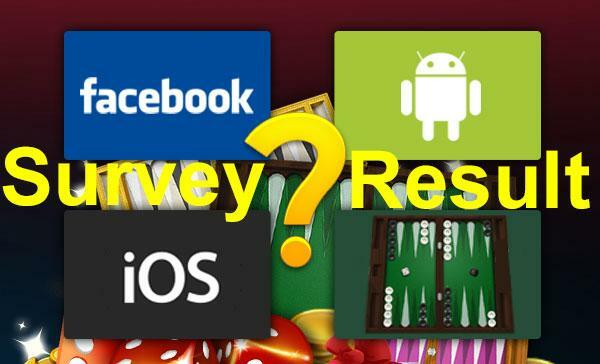 In short, PlayGem Social Backgammon is touted as the top Backgammon app on Facebook for some very good reasons. It is not only very enjoyable to play, the variety of boards and game modes provided prove to be a critical factor in keeping the game fresh and exciting for both old and new players. 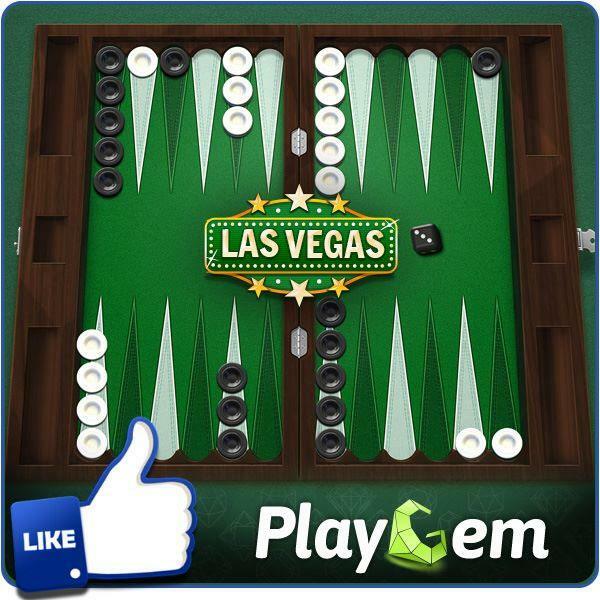 If you’re a fan of Backgammon, or even if you just want to give Backgammon a try, be sure to check out PlayGem Social Backgammon. 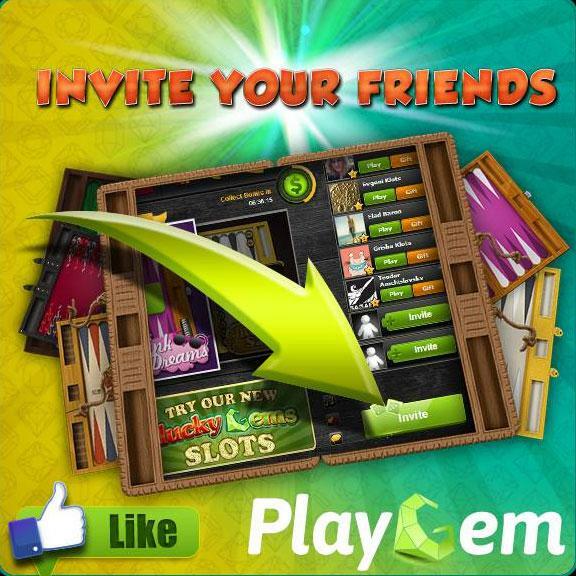 Invite Your Friends to Join You in PlayGem Backgammon! 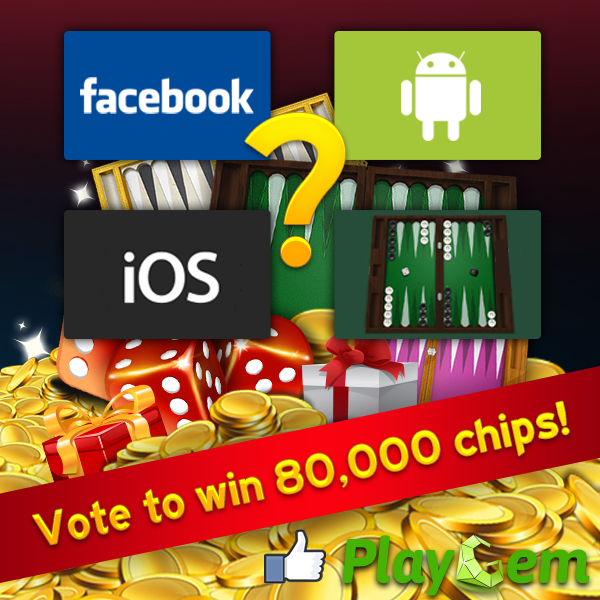 Vote for Your Favorite Way to Play Backgammon and Win 80,000 Chips!